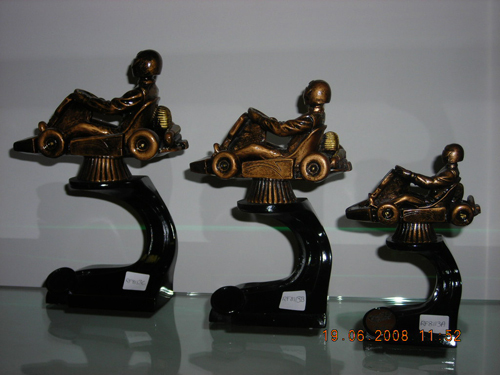 Motorsport trophies, awards and medallions recognising and rewarding individual and club achievements and success. Resin racing Flags which can be used for all Motor Sports. Comes in 3 sizes 170mm, 150mm & 130mm. Can accommodate your logo. Motor racing helmet made from resin. Comes in 3 sizes29cm, 22cm & 18cm.